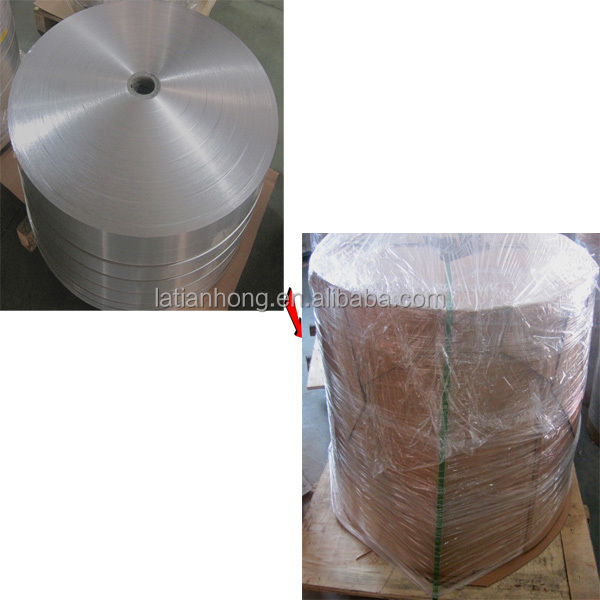 Inside: Aluminum tape :plastic bag- Outside: carton-Put on a pallet. 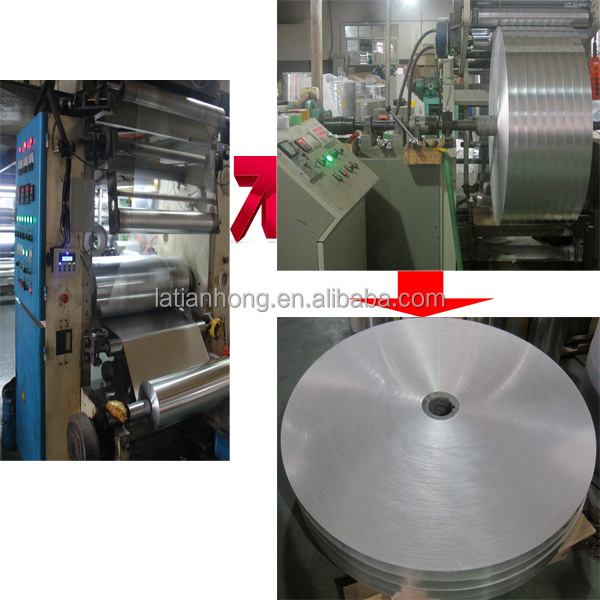 Note:Accept orders of foils with different thickness ,length and width. 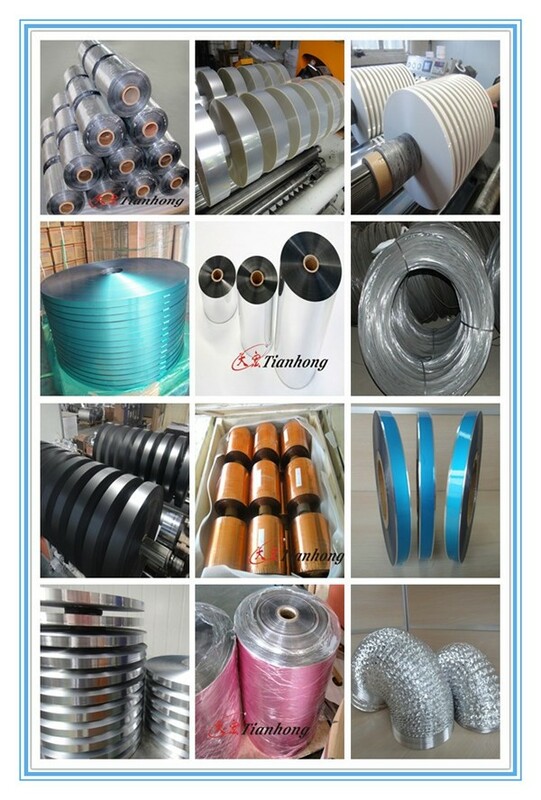 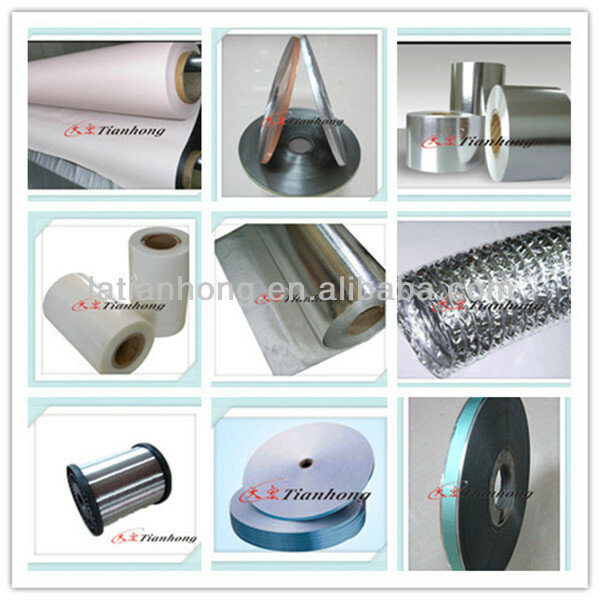 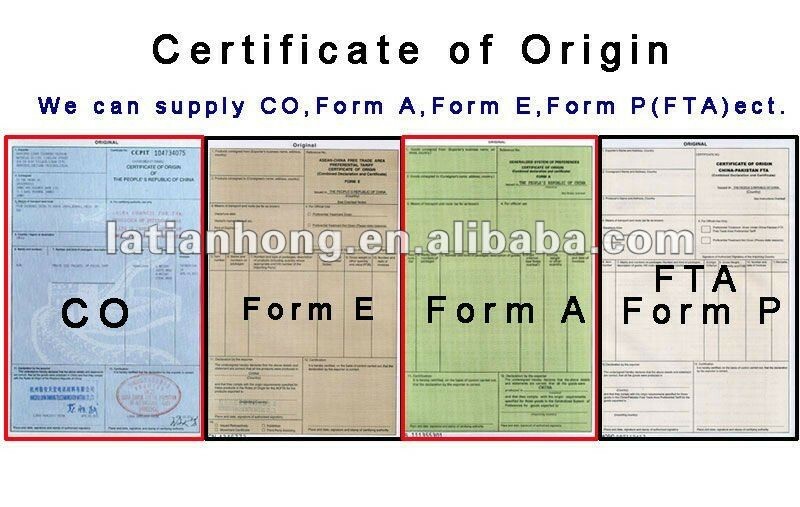 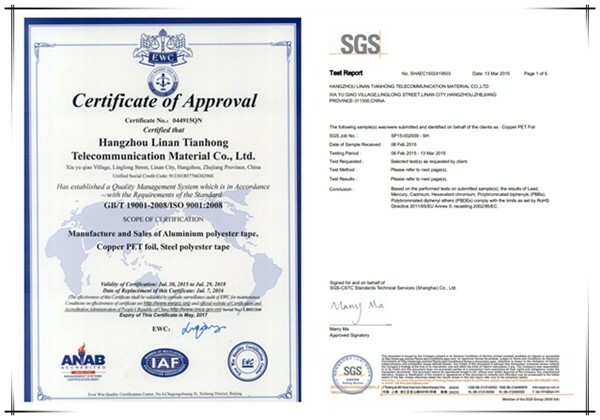 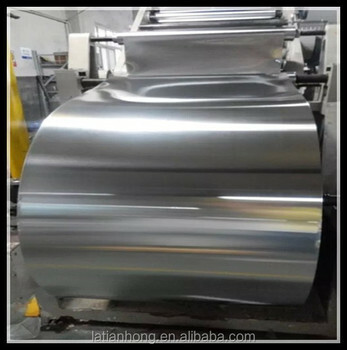 Certificate:We have ISO,Supply SGS,Certificate of original,MSDS,Test report,etc. .
Other products: Aluminum polyester laminate, Steel-plastic composite tape, Copper foil, Polyester strip, Blue color aluminum OPE foil, Single/Double side non-bonded aluminum foil, Single/Double heat sealable aluminum foil,PVC,Steel wire etc. 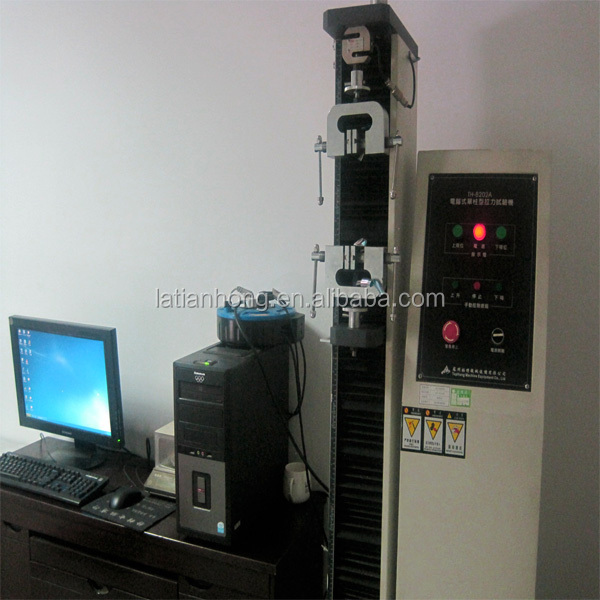 3.No quantity limit, at your choose and demend.